Mega Bloks turned 25 this year (can you believe it?) and to celebrate they are giving you a chance to win $25,000 towards your child’s education! From October 1 to November 30, 2010, North American families can participate in Mega Bloks’ birthday contest through two possibilities: in-store and online. At all major retailers in North America, participants can simply purchase the award-winning 80-piece Mega Bloks bag and peel off their in-pack peel off contest card to instantly get the chance to win the grand prize of $25,000 for their children’s future or one of 25 Mega Bloks prize packs valued at $500. Participants also have another chance to win one of 25 Mega Bloks prize packs valued each at $500 by going online and registering at www.megabloks.com/25. 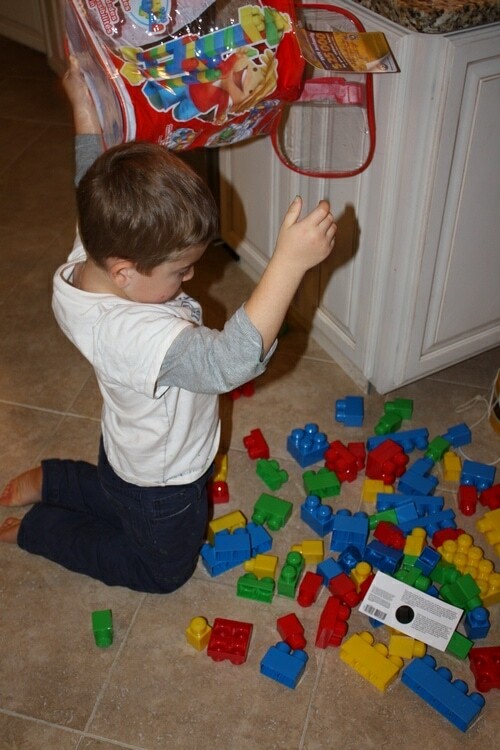 Do you have Mega Bloks in your house? I love this toy because of the over-sized pieces. I never have to worry about my kids choking. 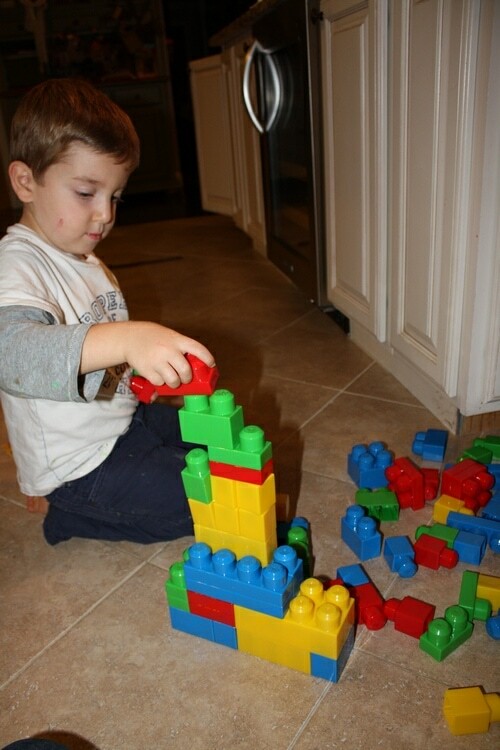 Big bloks means my boy’s little hands have an easier time stacking and ripping apart. Liam and Jackson are cut from the SAME cloth– how cute are these towers and cities and robots they can build with their Mega Bloks- have I mentioned that I owe Mega Bloks a babysitting fee? !